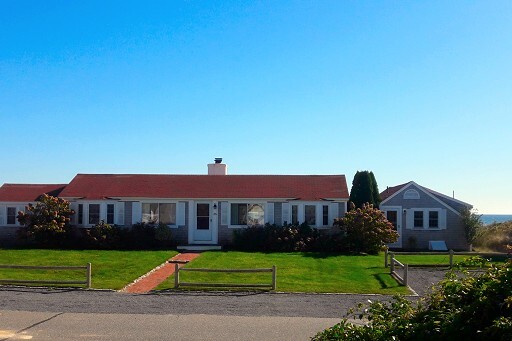 Our most popular house is back for Summer, 2019! 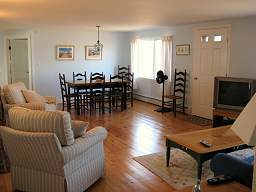 Split/ductless' air conditioning system with units in room, except kitchen. 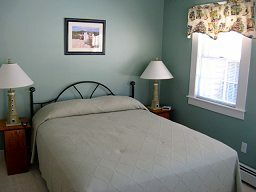 Renovated full bath in the center of the house with a walk-in, tile shower to replace the old tub! 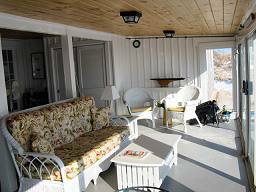 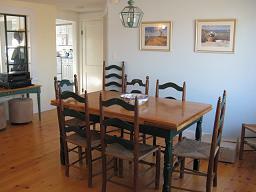 RAMBLING BEACH COTTAGE -- PERFECT FOR LARGER FAMILY GATHERINGS! 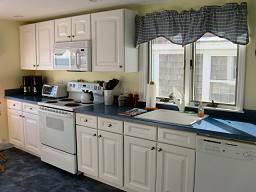 Sunny kitchen, with all appliances (and new blue floor!) 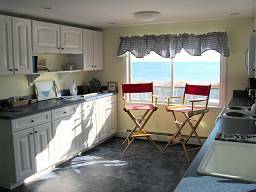 overlooking beach & half bath. 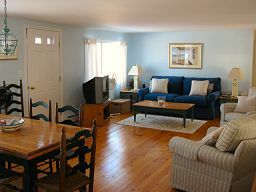 Laundry with extra refrigerator to accommodate your vacation needs. 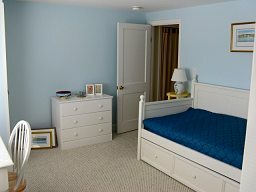 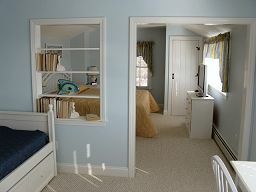 open thru bookcase wall to second room with twin trundle daybed and desk. 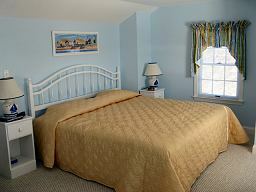 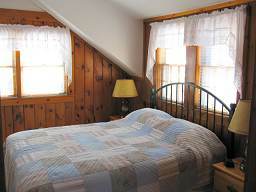 Two bedrooms each with a Queen bed, and one bedroom with 2 Twin beds. 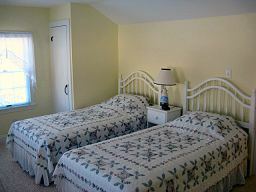 Two centrally-located full baths. 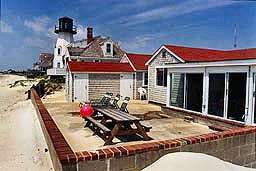 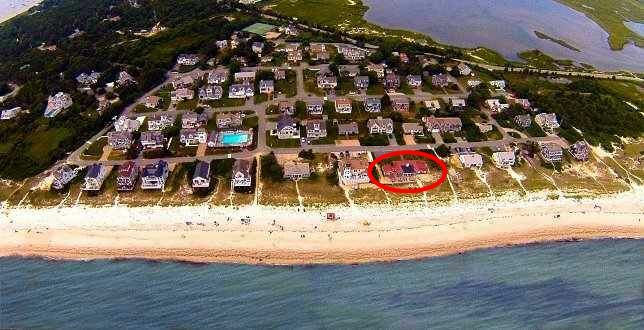 Separate, beachside wing (right-side of house in top photo) with Queen bedroom with ceiling fan, and bath with shower. 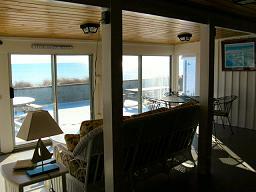 Large, sunny sunroom with sitting area, new couch and dining furniture opens to big patio located directly on beach. 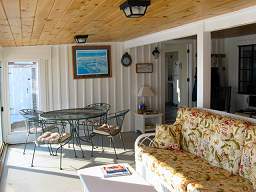 Beachside patio includes picnic table, lounge chairs, gas grill and outdoor shower with changing room.